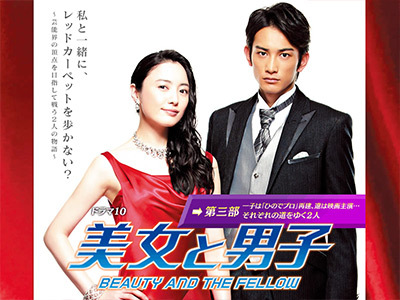 Sawatari Ichiko(Nakama Yukie) is a career woman who works hard the planning department of an IT company. One day, her boss, Madarame Haruhiko(Kusakari Masao), gives her an oder to work at mangement company Hinode Pro. The two companies have a partnership. Ichiko resists the transfer, but she takes the assignment under that condition that if she is able improve Hinode Pro then she will work as a manger at her IT company. Hinode Pro currently has only unpopular actors and actresses as clients. To revive the management company,Ichiko sets out to find fresh new faces. She scouts Sakisaka Ryo (Machida Keita) at a construction site. Ichiko gets busy turning Ryo into a star.